A leading provider in banking technologies and a Fortune 500 company, FIS (formerly known as Fidelity National Information Services) hired Axia Public Relations to develop its environmental employee sustainability program, GreenLight. Axia put together a comprehensive campaign, which included developing internal communications and marketing tools, naming the campaign, designing the logo, developing a tagline, creating an internal e-newsletter as well as concepts for a website and social media integration. FIS experienced enterprise-wide global success with its GreenLight program. Its Dedham, Massachusetts, office, inspired by the program, recycled 161 tons of paper and set a goal to recycle 100 percent of its materials by the end of the year. FIS (NYSE: FIS) is the leading provider in banking technologies for financial institutions and businesses. 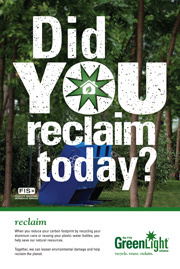 It hired Axia Public Relations to develop an employee environmental program. 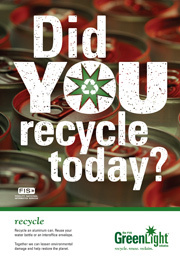 Axia developed marketing tools, including naming the campaign "The FIS GreenLight Initiative." Axia also designed the logo, tagline, a series of four-color posters, an internal e-newsletter, and a website with social media concepts to promote green behavior in the workplace among the company's 32,000 employees across 80 domestic offices. Plans for an international campaign for FIS global offices with translations are underway. 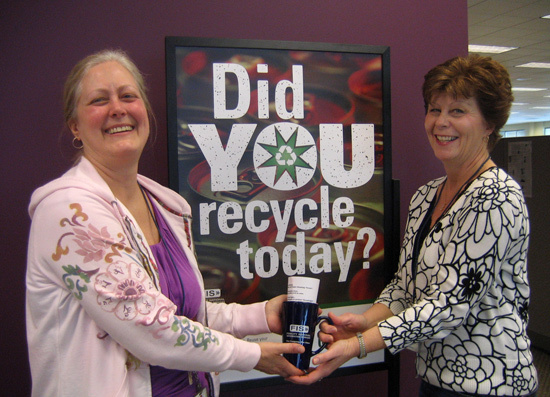 Woodbury, Minnesota, employees started using mugs and eliminated plastic foam cups. Toronto employees donated used blue jeans and denim for recycling into ecologically friendly home insulation in an effort to help Habitat for Humanity insulate a new home for a family in need in Mississauga, Ontario. E-waste recycling company Ecoreco recognized India FIS employees and FIS' GreenLight Initiative work at an award ceremony. 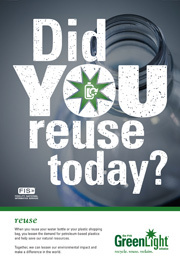 The Sunrise, Florida, office recycled ink and toner cartridges as well as cell phones with proceeds benefiting a local charity. The Dedham office recycled 161 tons or about 321,165 pounds of paper as well as half of the toner cartridges and is seeking a solution to reach its goal of 100 percent recycling by year's end. Axia has met and exceeded my expectations. They have delivered and continue to deliver efficiently. It is refreshing to work with such a professional and highly innovative team."